So . . . Justice League came out last month. That was a thing. Question is, was it a good thing? Well, that's why I'm here today: to give my opinion on the movie so you can decide whether you want to watch it or not. I saw it in theaters with a few friends of mine, and with my help, you can decide if you should too. Disclaimer: this review may not be a very organized or neat and tidy. I'm going to be talking about things as they come to mind. Second disclaimer: in reviewing this movie, I'm going to spoiling a LOT of stuff. Possibly the entire plot. Read at your own . . . risk? Third disclaimer: this is not a review of the movie's content. I'm not trying to tell you whether it's appropriate or not. You can check a site liked Plugged In for that. Fourth disclaimer: I'm a more of a Marvel than a DC fanboy. Comparisons WILL be made. Fifth disclaimer: this post contains a lot of disclaimers. Let's stop right now and get to the review. Before I begin examining Justice League, I'm going to first talk a little bit about my relationship with DC movies. My first superhero movie ever was Batman Begins, and I loved it so much. Actually, the whole Dark Knight trilogy is amazing. In my mind, it's going to be tough for anyone to beat Christian Bale's Batman. I also watched some of the older Batman and Superman movies, which weren't spectacular, to say the least. However, Danny Elfman's score for the 1989 Batman is still a classic in my mind, and John Williams's theme for Superman is very iconic. Not long after The Dark Knight Rises (whose soundtrack got me hooked on movie music in the first place) was released, Man of Steel came along, which I also loved. A lot of people didn't like the ending, because Superman isn't supposed to kill. The fact that he did, and that he hated his decision, made him a much more interesting and human character. This is where DC and I experienced some bumps in the road. Because they made Batman v Superman: Dawn of Justice. And I actually didn't hate the film; I just didn't . . . love it. (It's going to take them a while to live down the whole "our moms share the same name, we're great friends now" logic.) It also felt like the first time DC was trying to outdo Marvel, because they released their move the same year that Captain America: Civil War came out. Suicide Squad didn't even interest me in the slightest. It was a cheap attempt at a movie similar to Guardians of the Galaxy, only it didn't work for DC. I've seen a few videos on YouTube mocking the movie's logic, which makes me even less eager to see it. Then they created Wonder Woman, which was actually a lot better than I thought it was going to be! At times, yes, it did feel like Captain America: The First Avenger, but it was still pretty good! DC decided to make the first superhero movie with a female lead role, and it worked. So when I sat in the theater to watch Justice League, I had a mixture of emotions. DC had a lot of ups and downs with their movies, so what would this one be? I decided not to expect much of it, and . . . well, I'll sum up at the end. Ahem. Back to the movie in question. The world, in its typical fashion, now mourns the loss of Superman, even though in Dawn of Justice it hated him with a passion and loved him in Man of Steel . . . kinda? Batman and Wonder Woman are doing all they can to protect people. 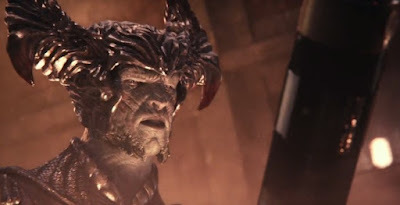 Then one night, a Parademon shows up. (You know, those flying creatures from the desert apocalypse nightmare sequence in Dawn of Justice? You don't remember? How utterly surprising.) When Batman tries to take it down, it explodes. Wanting a woman's opinion on this phenomenon, he talks to Diana about it. Now, with the death of Superman, the boxes are waking up, and Steppenwolf's out for blood this time. He conquers the Amazons and steals their box with ease, but not before they give a signal for Diana. Batman and Wonder Woman must hunt down the people in Lex's files (Aquaman, Cyborg, and the Flash) to take down Steppenwolf once and for all. But without Superman, do they have any real chance of succeeding? Guys, I can already see a fatal flaw in this movie. I watched this movie two weeks ago . . . and I had to refer to Wikipedia to remember the plot. Seriously! I'm usually pretty good at recalling what a movie was about. In fact, I could sooner tell you the plot of The LEGO Ninjago Movie, which I saw around the end of September. That definitely doesn't put Justice League in my highest regard. Then the film gives us three new characters we hadn't seen yet, with almost no time to get to know them. This is where Marvel excelled, because they have slowly introduced new characters to us before mashing them with others. And even when they do throw some into the thick of things--like meeting Black Panther in Civil War--it's always executed really well. Most of the plot seemed to consist of strung-together battle scenes, and the in-between stuff wasn't spectacular. I will say, though, that this movie is pretty funny. My favorite scene is when the superheroes resurrect Superman, who wakes up in a foul mood. At one point, Superman's taking on Wonder Woman, Aquaman, and Cyborg. Flash decides to run in and help. As he's in the speed force charging at Superman, the Man of Steel looks at him. The expressions on Flash's and Superman's faces were just hilarious. And then there were minor plot points that didn't make sense. There's a scene where Wonder Woman is taking on terrorists, and the leader says his bomb will blow up four city blocks. Our heroine's solution? At the last second, throw it into the air. How does that solve anything?! If it can destroy four blocks, it can still cause damage from the sky! It didn't even look like it went that high. There was also a random family we saw in a few brief scenes, and they had no bearing on the plot, aside from Flash having to save them later. It felt totally pointless and out of place. Plus, they had an unfinished joke. There's one part when the little girl sees a whole bunch of Parademons, and she grabs a can of bug spray. In my mind, I was like, "Is this actually going to be the Parademons' weakness?" But nope, they never delivered on that punchline. Something else they didn't deliver on? The Flash's cryptic message in Dawn of Justice. The fact that it didn't get any payoff in this movie bugged me. I wanted to know what he meant, but apparently the filmmakers didn't have that same thought. However, I will say that I really liked the two credit scenes (you know, like Marvel does). I won't spoil them, just because I don't want to spoil everything about the movie. But suffice it to say that if they're setting up two more movies, I'd be interested in watching them. I'm not going to keep ranting about the so-called plot. I think you guys got a good idea about what I thought. Let's talk about . . .
Let's start off with Superman, because he's the one the movie opens with. (The beginning scene feels like a rip-off of Homecoming, since it starts with cell phone footage.) When it started, I was like, "Man, Henry Cavill's face looks off." The reason was because he had to grow a mustache for Mission Impossible 6, and when Zach Synder left the project, Joss Whedon had to do some reshoots. And for some reason, they didn't have a good makeup artist, because Superman's face is horrifying. Not to mention that he is EXTREMELY overpowered when they resurrect him, because he takes down Steppenwolf like nobody's business. You know how Batman was all brutal killer in the previous DCEU installment, even though he's not supposed to be like that? Superman's death has changed him, which I liked. He just seemed far too dark in Dawn of Justice. Christian Bale is still a better Dark Knight than Ben Affleck, though. Wonder Woman was just as good as she was in Wonder Woman. As for the other three, they were pretty decent. Okay, actually, Flash was one of the best parts about the movie. Maybe that's because I know his backstory since I've seen the TV show. I just wish all three had been given more time to be developed, because they were kinda flat. What about Steppenwolf? One word: awful. (Aside from the fact that he sometimes sounded like Liam Neeson. I find it funny because the real actor, Ciaran Hinds, got advice from Neeson for the role.) One of my friends summed it up well by saying that he had no reason to be afraid of Steppenwolf. He was just there for the sake of having a villain. 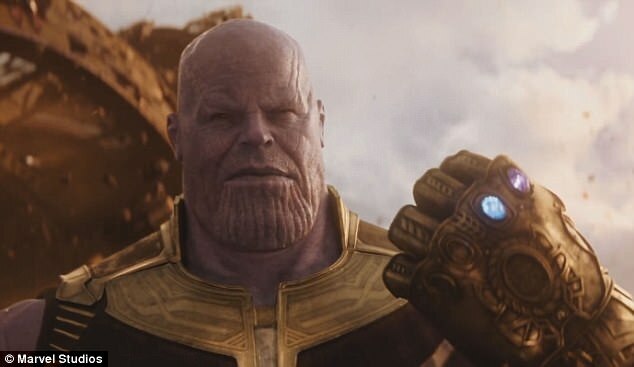 And on top of that, his CGI was terrible. How is it even possible that three hundred million dollars were put into this movie? It's literally one of the most expensive movies ever made . . . so where did that money go? Are you going to be scared of this guy? I won't even bother with anyone else, because they weren't in there long to be important or interesting . 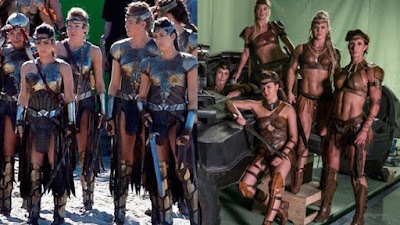 . . except for the Amazons. 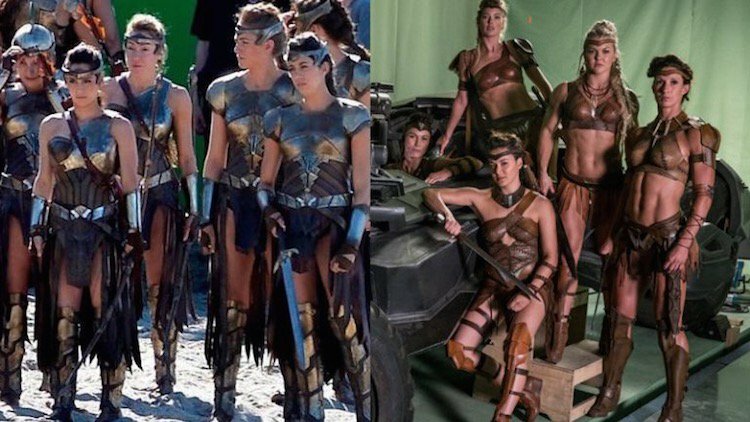 Because something happened to their outfits on the way from Wonder Woman to Justice League. Yep, they got skimpier. Wanna know what the sad part is? The first costumes were designed by a woman, and the second costumes by a man. Ugh. I have no others words but ugh. Before I conclude this review, I wanted to touch one of the most key elements, in my mind, of a movie: the soundtrack. Just as the movie had some turmoil with directors, it had issues with composers. Originally, Hans Zimmer and Junkie XL were set to compose the score. After things happened with the creation of the music in Dawn of Justice, Zimmer declared he was retiring from the superhero business. That left Junkie XL, and I was looking forward to hearing what he'd come up with. But nope, he got replaced by Danny Elfman. I was disappointed, but I hoped Elfman would nail the score. When I saw the film, however, only twice that I can think of did I actually perk up and listen to the music. Now, in most movies, I notice some really good tunes, and it makes me wanna go listen to the soundtrack. The only times I paid attention to Justice League's score was when Wonder Woman's electric guitar theme appeared once, and when Batman's 1989 theme briefly showed up. Other than that . . . nothing. I'm obviously not going to completely write off the soundtrack because of that. I'll still listen to it by itself. I just have my doubts as to whether it will be good. I wanted to like this movie. Really, I did. I hoped it would take some cues from Wonder Woman and be just as good, if not better. And I enjoyed it . . . but I also saw it was caught between being great and terrible, an issue that's plagued DC for a little while now. Justice League aspires to be awesome, but it ends up flopping like a dying fish, becoming a "summer flick," if you will. You know, those movies you watch for just a bit of entertainment with no expectations for anything great. It's riddled with problems, from no plot to (mostly) bland characters to an OP Superman to revealing Amazon costume design to an unmemorable score. So there's not much going for it. Here's what I think DC should do with their extended universe. Restarting now would be too soon, so if you can't go back, forge a new path forward. They need to stop focusing on imitating or getting the jump on Marvel, because it's never worked. They need to concentrate on doing their own thing, however they feel like doing it. If they would do that, I honestly think their films would start looking up. But until then, prepare for more mediocrity. That's the end of it! How'd I do on my first movie review? Was it as messy as I predicted? 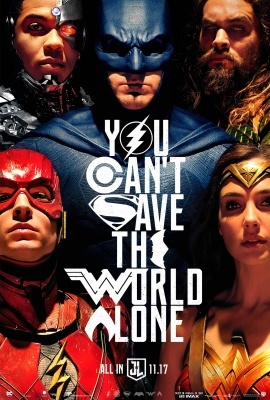 Have you seen Justice League, and if so, what did you think? Don't forget to ask me your questions for January's special post. Just use #KnowJoe for any and all queries you have for the upcoming interview. I also was not terribly impressed by Justice League. My biggest gripe was they seemed rather ineffective as a team until Superman showed up. You don't have that problem with the Avengers; they're a much more balanced team that functions together like an actual cohesive unit. Wonder Woman and The Flash were also the only two characters I liked, which also didn't help. I will add the disclaimer that I didn't watch Batman v. Superman; it had no appeal for me. Perhaps if I'd watched it, I would have had more of an appreciation for those two players. However, given the whole "Martha" incident, I doubt it. Nice review! I definitely like the section on the score. That's actually a very good point. I hadn't thought of that before. I find it interesting that we both like Wonder Woman and Flash more than the other characters, because those two were critically praised for their performance. BvS wasn't much to write home about, either. Honestly, the best part about it was the score, because Hans Zimmer and Junkie XL did a phenomenal job on it. Thank you! I'm glad you did. I felt like I needed to mention it, because I absolutely love soundtrack music. Yeah, I saw the trailers for this movie, and I thought it looked pretty weak. The only DC movie I've seen is MoS, which was excellent. But Dawn of Justice looked overworked, and I don't get how they can make two apocalyptic-looking movies in a row. Like you said, they just can't get the jump on Marvel. No, it never really looked spectacular in the trailers. You would've thought Michael Bay directed the movie if you saw some of the previews. Man of Steel was indeed fantastic! You should also really watch Nolan's Dark Knight trilogy; it's spectacular. No, they can't. Do you have a favorite Marvel movie? Ha! Yeah, I would love to see those. I really like Nolan's style. That's tough. Probably a close one between the first Iron Man and Captain America: Civil War. He's a great director, based on the few movies of his that I've seen.